View my new listing for sale at #102-518 Beatty St and currently listed at $ 385,000. Open concept 777 sq.ft. Heritage Loft on the coveted 500-Block of Beatty St. Old-world Architectural building features include; exposed brick walls, original timber wood beams, high 8’10” ceilings, heritage Euro-style wood windows. The building offers a large common area roof-top deck making this one of Beatty Street’s most desirable heritage conversion buildings. This loft has an open concept wide living area, galley kitchen, storage area, and full width windows. 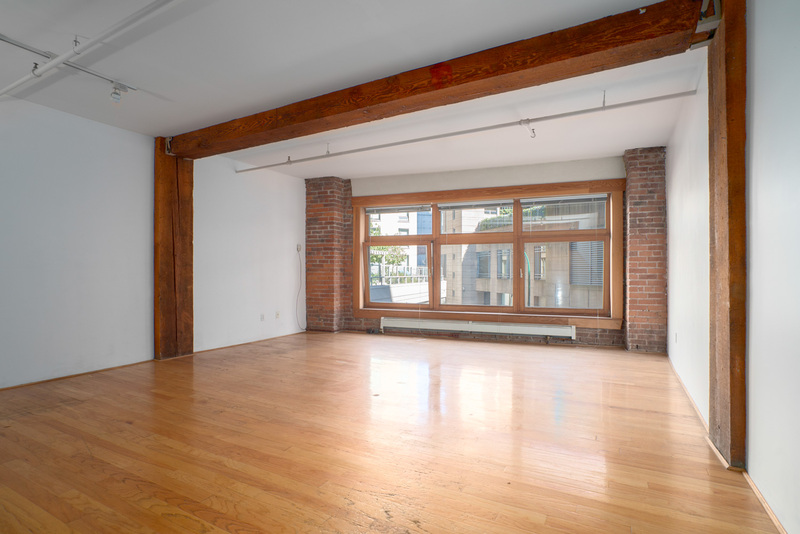 The location is centrally located close to Gastown, Yaletown and nearby a Skytrain station. Perfect for your loft creative ideas. Parking available for rent nearby. Building rentals are restricted to having owned in the building for two consecutive years.